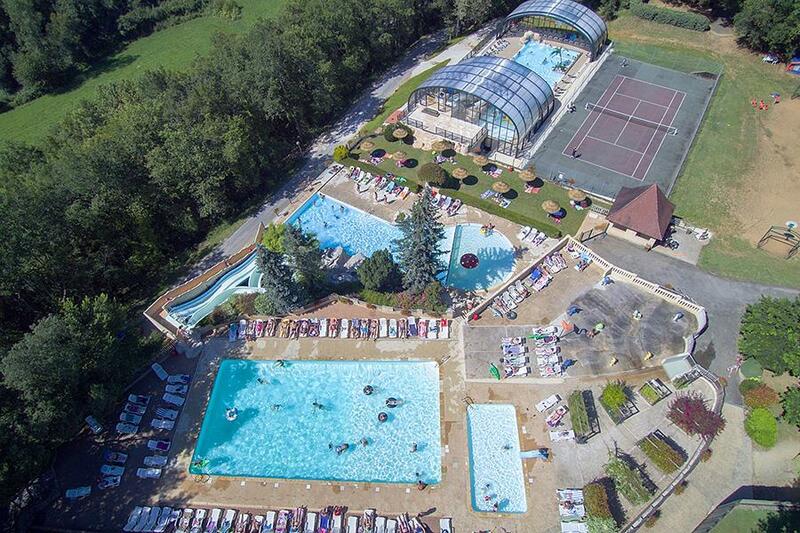 At Campsite La Palombière in Sainte-Nathalène (Dordogne) camping costs as little as €18,- per night during low season with CampingCard ACSI. At one of the 68 touring pitches you will get a discounted rate during the period 06-04-2019 - 07-07-2019 and 26-08-2019 - 21-09-2019. At this campsite you can not only use your CampingCard ACSI for inexpensive camping, you can also use your ACSI Club ID (as an alternative ID). An entrance that gives camping guests a wonderful feeling at this beautiful and enchanting site located on a hillside. The reception and excellent restaurant built in Perigord style offer a warm welcome. The stunning views and beautifully maintained grounds, with sports areas, will please everyone. New as of 2016: indoor leisure pool. A super site, well laid out and the pitches are easy to get into, even with our 7.4 m caravan. Staff are super friendly and most speak good English. The facilities are good at the block nearest the pool but much better and larger further into the site. They even have piped music playing in the toilet block. Surroundings are idyllic. Sarlat is definitely worth a visit. As is a walk or cycle rounds the quiet lanes. Would you like to book Campsite La Palombière or request more information? You can do both using the information below or by visiting the campsite's website. A20 exit Souillac, D704 dir. Sarlat. Turn right in Rouffiac, D47 Carlux-Sarlat. 8 km from Sarlat in Ste Nathalène. CampingCard ACSI will send your information request to "Campsite La Palombière".